Come celebrate the anniversary of the 1916 fight for Irish Independence on this custom tour to Ireland. 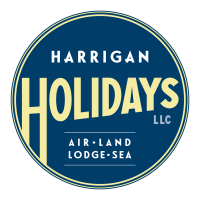 At Harrigan Holidays we plan our custom tours with great care. While you will find some of the standard sightseeing stops along the way you will also see and explore things not on your "regular" brochure tour. 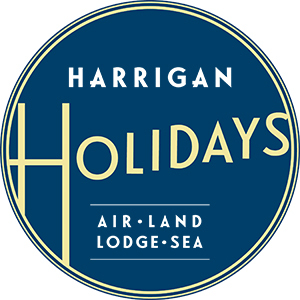 This tour includes 9 nights accommodations at 4* hotels in Milbay, Dingle, Kinsale, and Dublin. Daily breakfast at your hotel is included as well as 6 dinners. The price includes visits and admissions to the following: Dysert O'Dea Castle and Archelogy Centre, Cliffs of Moher, Foynes Flying Boat Museum, Dingle Brewery, Dingle Distillery, St. Golbrait's Monastic Site, Michael Collins Centre, Bevelly Smokehouse, Holycross Abbey, Clonadadoran, Glasnevin Cemetery & Museum, and Kilmainhaim Goal. You will take Don and Barry's Kinsale Historic Stroll, tour the Burren and the breathtaking Dingle Peninsula. Lunch stops, at your own expense, are scheduled for the South Pole Inn and John Kavanaugh Pub. The South Pole Inn was run by the Antarctic Explores Tom Crean. John Kavanaugh's is also know as the Gravedigger Pub and as the name implies was frequented by the gravediggers at Glasnevin Cemetery. In Dublin you will have a free day to explore Dublin on your own. While this looks like a very busy itinerary, the tour is at a very relaxed pace and offers a lot of free time in Dingle, Kinsale, and Dublin. Also included is an Irish Coffee at Foynes Flying Boat Museum and tastings at Dingle Brewing, Dingle Distillery and Bevelly Smokehouse. Please refer to the complete itinerary for a full description of inclusions. Click here for complete itinerary. We recommend you book early to guarantee a place on this tour. When compared to other 11 day tours this one is considerable less per person.